Lucas Oil Off-Road Racing Series at Lake Elsinore under the lights Friday Sept 23. 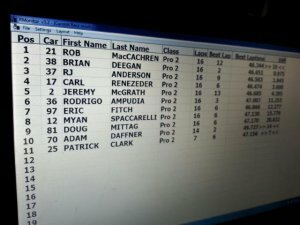 Rob MacCachern took home the Pro 2 win after having to battle hard throughout the event and taking over the lead with five laps remaining. 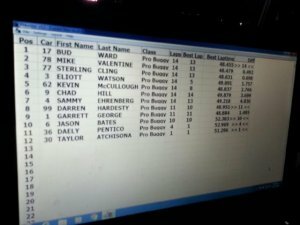 In the Pro 4 class Carl Renezeder was in charge for most of the race until he got up on two wheels dropping him to third. 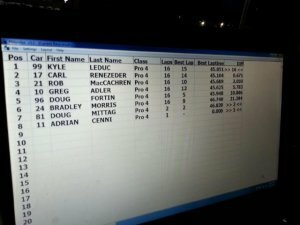 Renezeder was able to regain second but could not get past Kyle LeDuc. 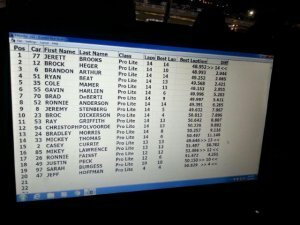 Jerett Brooks was able to take the lead with one lap to go and finished Pro Lite winner. In the Super Buggy race the leader and third place tangled with a park car over the blind jump with three laps to go. During the shuffle Bud Ward was able to move to the front of the pack to earn his first win. 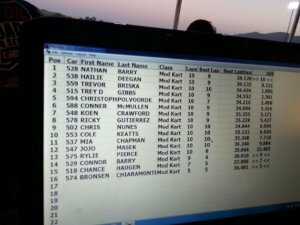 Nathan Barry won the Modified Kart race.